In the last few months I've become quite interested in ballet pump style shoes- not only are they very cute looking, they go equally as well with dresses, skirts and jeans and if you pick the right pair they are very comfortable too. They make a great summer shoe alternative when you want a closed toe, light soled shoe. My leopardprint ballet pumps are well and truly worn out, so now I'm looking to be inspired for picking a new pair. Will you be picking a Summer shoe this season, if so what sort of style? 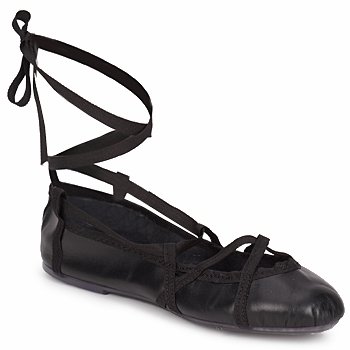 I had a pair like the black ballet pumps when I was 14. I have longed for another pair ever since. Nice selection ! Quite a nice collection however the Mina Noir are my favorites! For the Summer I'll wearing nothing but sandals and wedges when going out or running errants. For my Summer job I have to wear tennis shoes or any kind of close shoes. The only flat shoes I can wear are flip flops, every ballet shoe in the world seem to rub my feet raw and I'm forever tripping over my massive feet! nice choise, the black ones are really great. 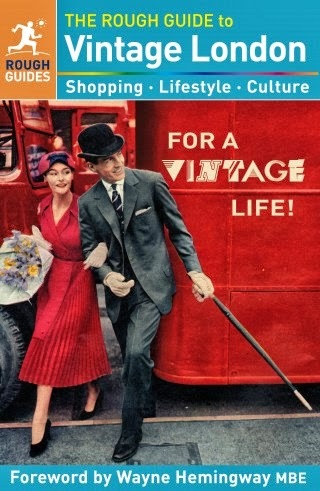 they are timeless and go with everything. I like the Mina Noir ones too. I have to wear flats to work/day for a while so ballet pumps are very interesting at the mo! (boo doctor's orders. Which I should really be 'yay' about because it means its a simple injury not anything more serious). Thanks for these nice ones! Very cute black ones. Love the ribbon detail. I don't wear flat shoes very often, I love my heels too much! I love these. I wonder if they sell them in the US. I'm in desperate need of some new ballet pumps, after getting some French Sole a couple of years ago (which wore out sooo quickly) that were just gorgeous, perfect low cut to show the toe cleavage. I can't find any I like at the mo, although I got a green patent pair in Asda the other day for £2! Pretty. I love the lace pair. I think I will be wearing wedges this summer. 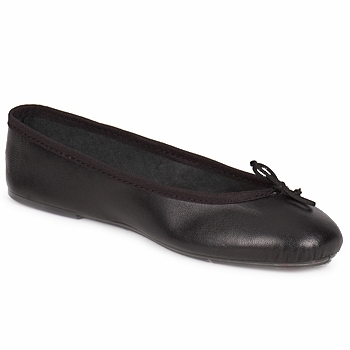 Love ballet pumps as I'm always running about and I need somrthing confortable. 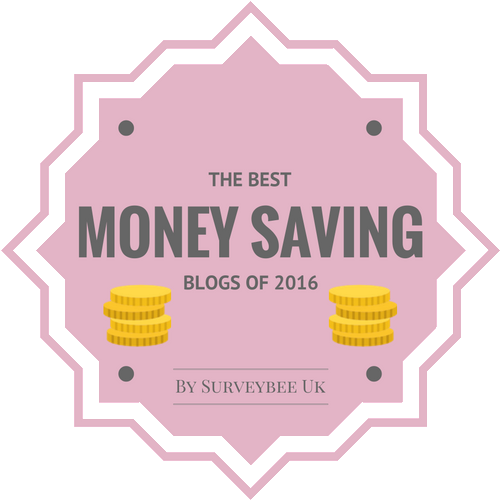 I love the joules ones and at the moment they are up to 70% discounted here at the York Outlet. Take care. Ciao. 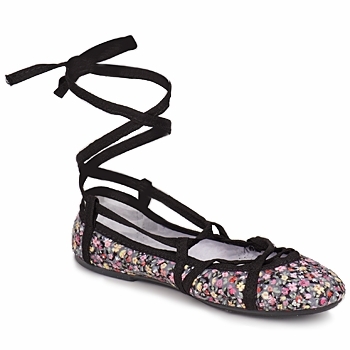 A.
I don't do flats but I love the ones with the ankle straps. these are all uber-cute.....I always feel they make me look top-heavy though, a sort of pirouetting elephant!! 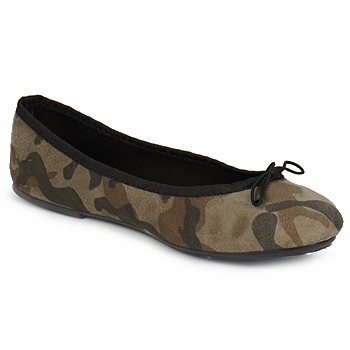 The camo ballet pump packs a lot of attitude. You're right, they do offer endless versatility. I'm into those plastic jelly shoes that we used to wear as kids.